You know that one time when you brought everyone back to your star cruiser and you just wanted to warp over to grab some icecream and then suddenly realized, you had no idea where the keys were? Avoid that ever happening again with the Star Trek Enterprise D Key Chain. 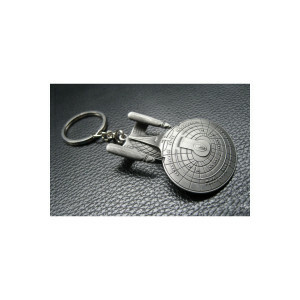 The small metal keychain is a replica of the Enterprise-D, home of The Next Generation. Now if only you could beam them to wherever you were, that’d be the greatest. I've been a Trekkie since the beginning. When my current key chain became too full, I separated primary from secondary use keys. When I saw this key chain, I had to have it. It's a quality product and a great investment. I like everything STAR TREK. My mother and I are huge Star Trek fans and have been since day one when the first Star Trek was aired. I got this for my mom for Mother's Day and she was hugely delighted. It joined her Mr. Spock key chain and she shows it off proudly. We were quite disappointed with the cheap quality of the key chain. One of the starship´s engines was totally off when it arrived. The other one separated soon after. I will not be ordering such items in the future. As decoration on my car key chain. I am totally disappointed. I got one about 10 years ago and it just wore out. This one came apart; no identification of the ship and I am totally unhappy with the product. I would return each piece, if I could. Good for a keychain. Star Trek groupsters loved it. 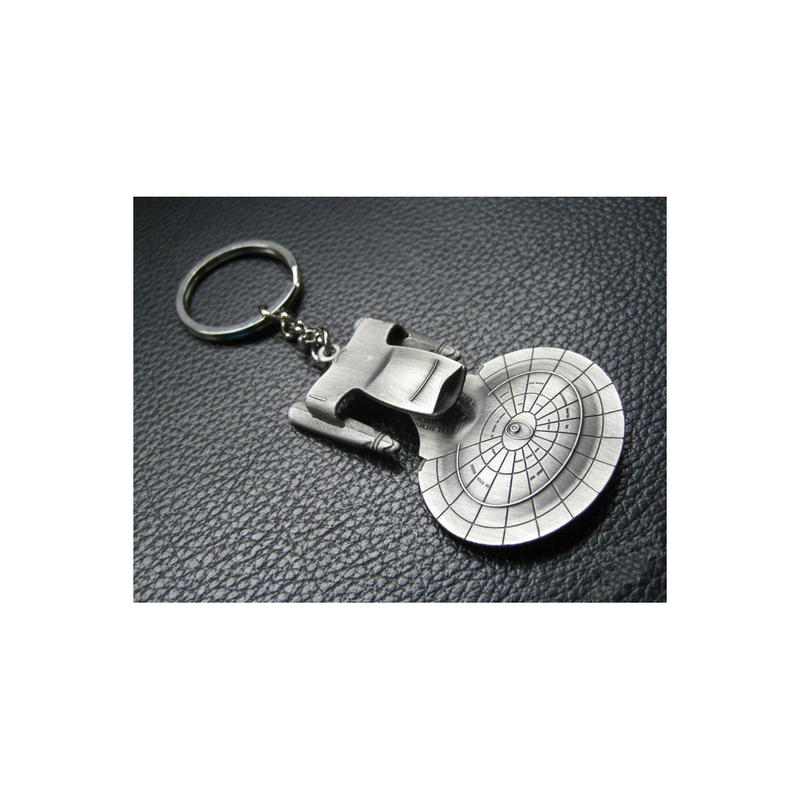 I use it as a daily key chain but it is also very nice as a collectors item. The design is great and the material it is made off is very nice. Use it every day to hold my keys. It works perfectly. Yep, my nerdy parental unit was very pleased. You are terrible to deal with. I have a number of items I've yet to receive after months of waiting!!!! I've purchased from this site 3 years in a row for my boyfriend and I never take the time to rate everything has been great up until now. 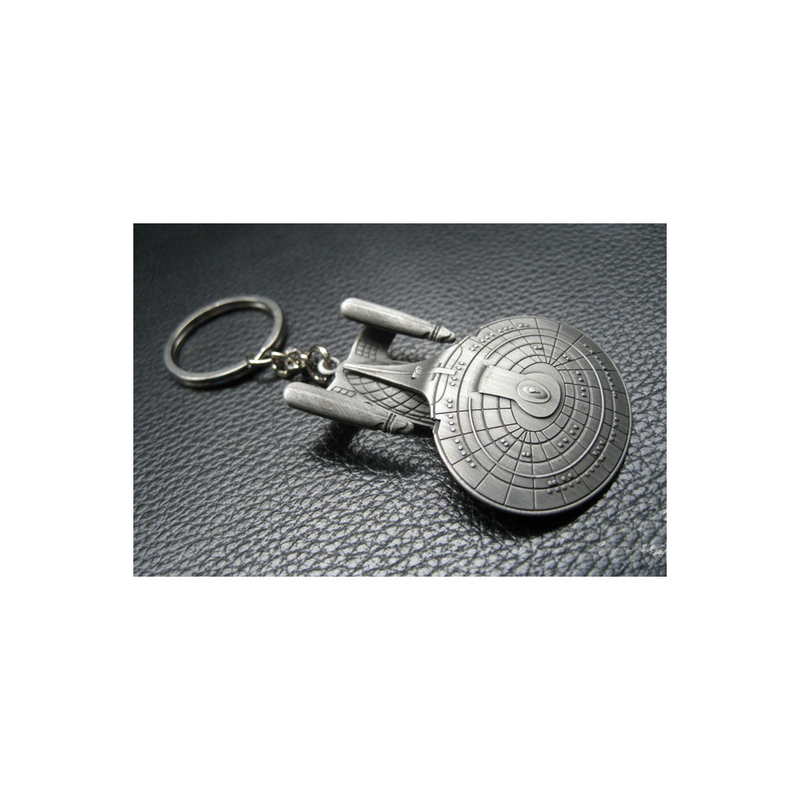 I brought the enterprise key chain and it broke within two weeks no where did I read that the pieces are interchangeable basically the body snapped off which he was able to snap it back on within hours it snapped off again and lost the body of the enterprise. Very disappointed in the poor quality.